Lace up your boots and get ready to shred the synthetic gnar in Maggie Valley. 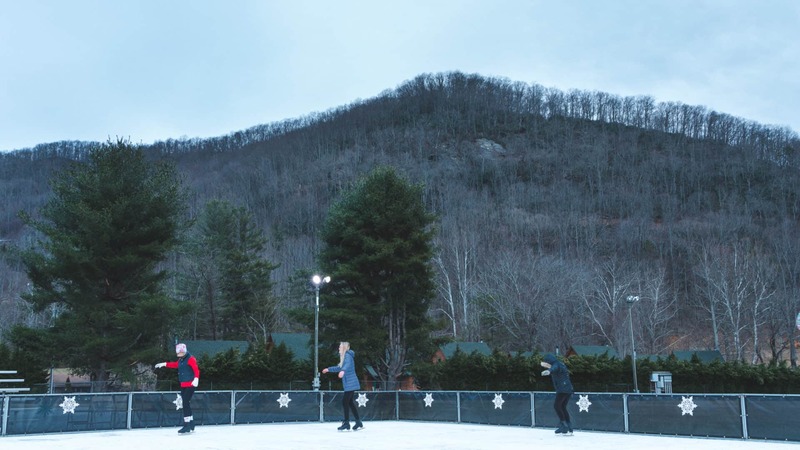 For two weeks starting February 8th – 17th Maggie Valley Festival Grounds will be home to a 40′ x 50′ synthetic ice skating rink. The first winter skating rink event hosted by the Maggie Valley Chamber is sure to be a fun time for adults and kids. Thanks to the ice being synthetic, the rink is not dependent on weather and is skatable rain, shine, or snow. Price per session including shoe rentals is $8 for adults and $5 for kids (under 12). Sessions are 45 minutes long and max out at 40 people. Other fun activities around the rink include a bounce house, 9 hole mini golf, Jenga tower, connect four and more. Make sure to share your pics on the rink with us using #haynow!